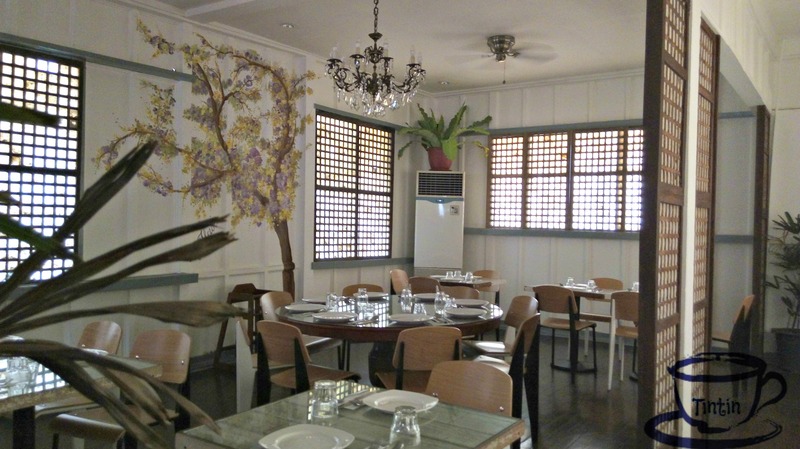 Café Fleur is located in Angeles City. 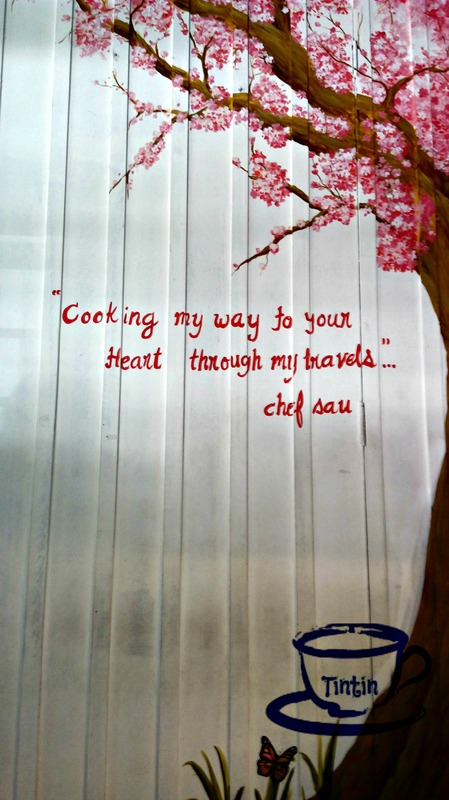 Chef Sau Del Rosario who founded Café Fleur emphasized their food on Kapampangan cooking with international touch. 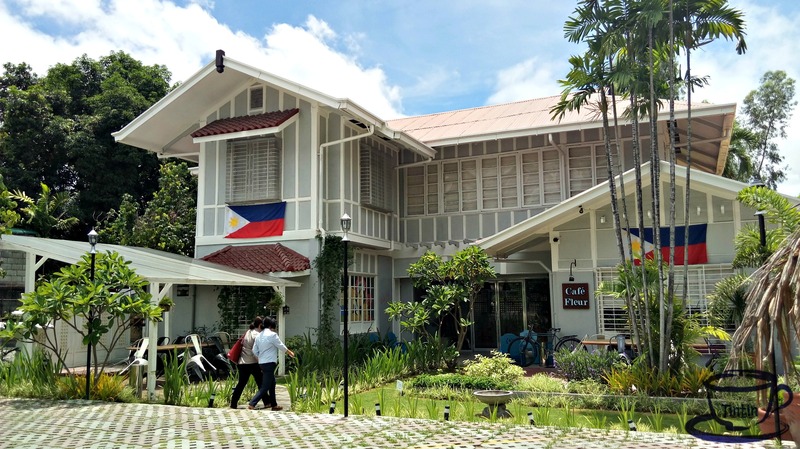 Its heritage-look blends and helps with Angeles City’s promotion to preserve heritage houses and establishments within the vicinity. Stairs to take going to the second floor of the restaurant. 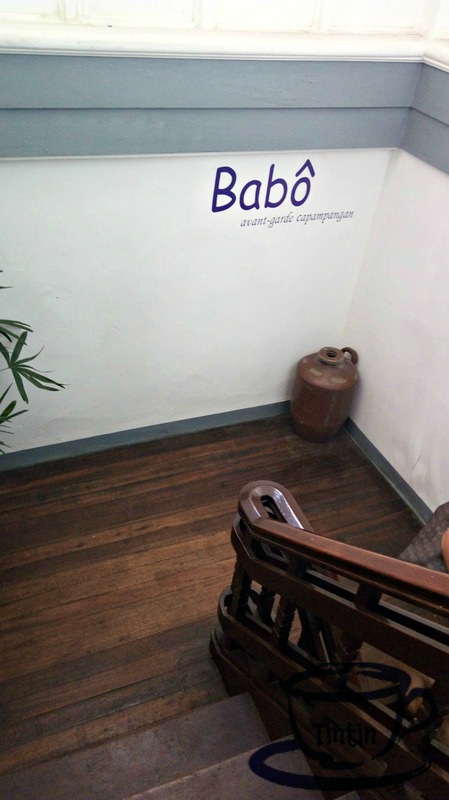 “Babo” is a Kapampangan term for above or upstairs. 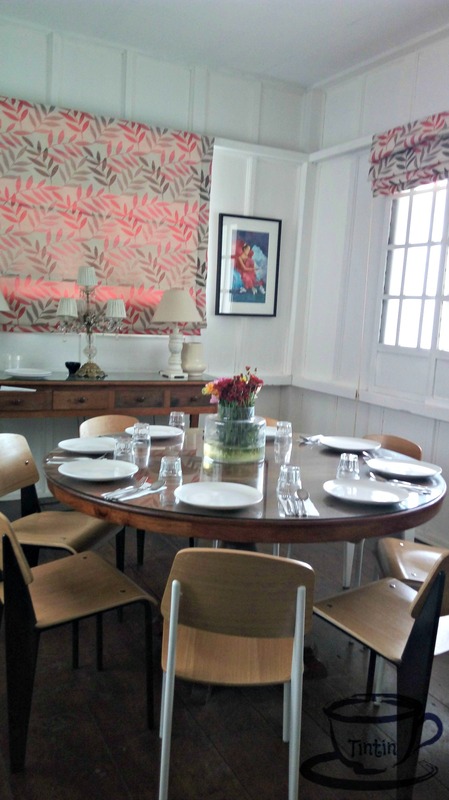 The set-up of tables and chairs at the second floor. 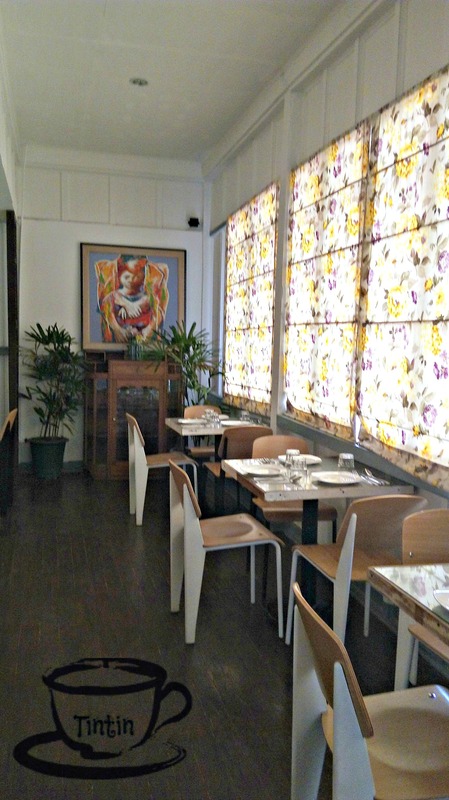 Another room at the upper area of the restaurant. One of my favorite appetizer is “Pako Salad”. 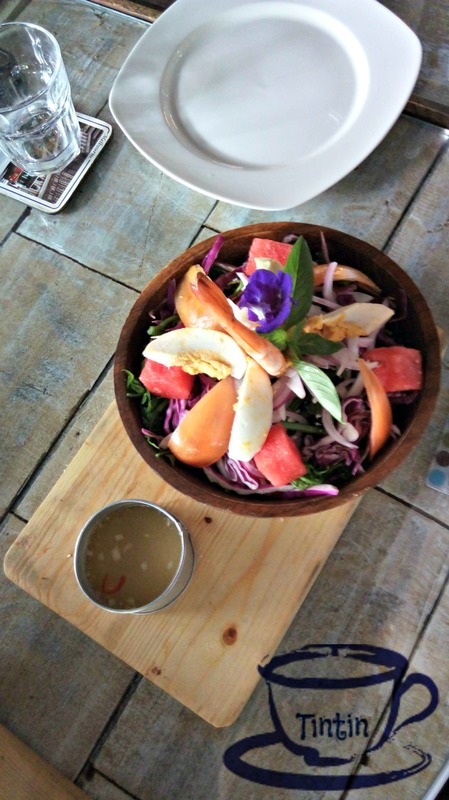 Their salad here has this edible flower called “Blue Pea”. It is not just a design but part of the menu that can be eaten. 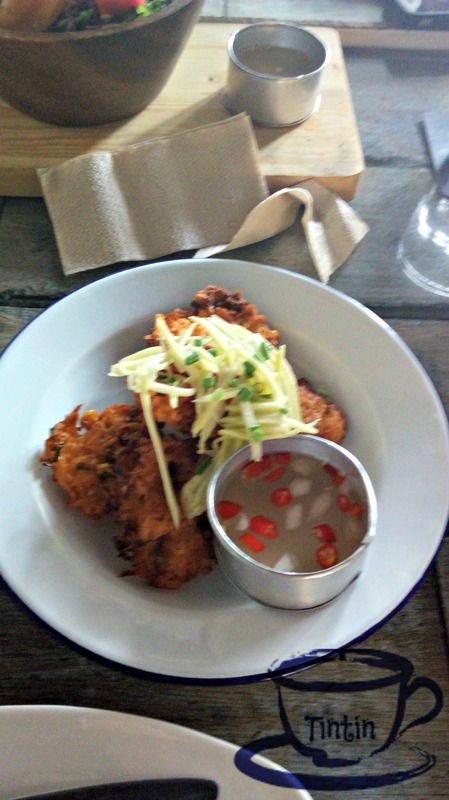 Try this “Okoy-Okoy” also that is so crispy and tasty. You must try their best seller “Macadamia Kare-Kare”. (Sorry if I forgot to picture it but will surely go back and take one for you.) 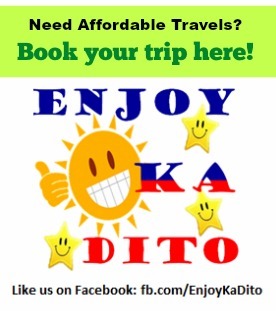 It is a local Kare-Kare dish where the meat is deeply fried and crunchy. The veggies and meat are separated from the sauce. For dessert, this “Bibingka Cheesecake” has really caught my heart. 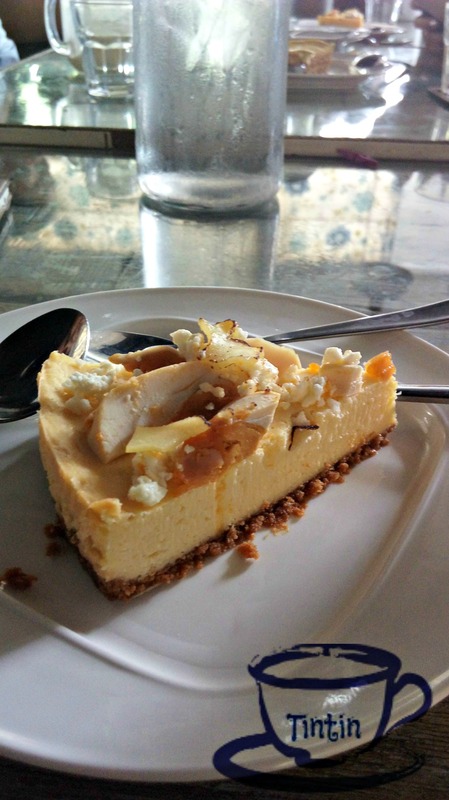 The taste of the salted egg really complemented the sweet-soury taste of the cheesecake. You can also sort out to different shakes if you prefer cold drinks for dessert. 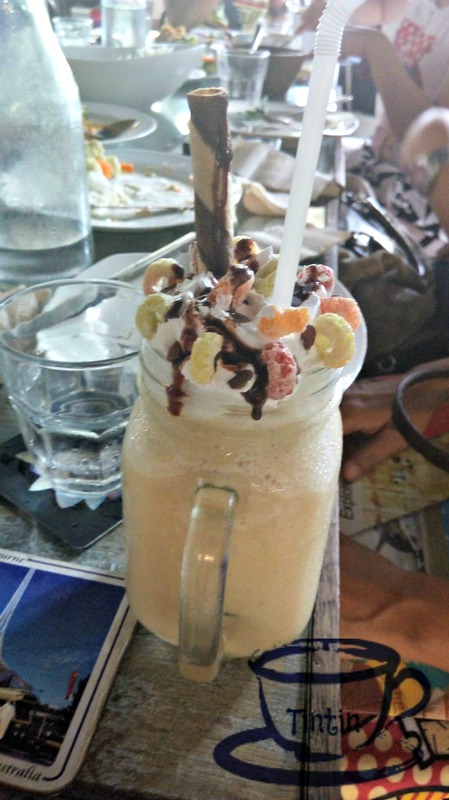 This one is the coco-pineapple shake.